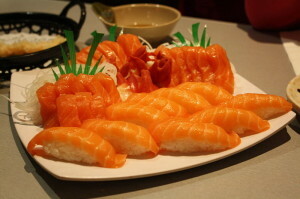 A Seattle fish company had some of their fish privately tested in late 2013. With all the US government agencies refusing to test anything and growing consumer anxiety due to the lack of information, Loki Fish company paid for private testing. This is some of the only North American seafood testing done. While the current findings of these limited samples is somewhat good news, more testing is needed to have a better understanding of the situation across a large geographic area of ocean. These are a “snapshot” of a much larger picture. More testing should be done by more parties and done over time to understand the potential progression of radionuclides in the environment. Artificial isotopes like cesium 137, 134 or strontium 90 should not be ingested, even in small amounts ideally. Even small amounts have the potential to add to health damage that can cause cancer and other health problems over time. Each nation gets a blip and a flashing dot on the map whenever they detonate a nuclear weapon, with a running tally kept on the top and bottom bars of the screen. Hashimoto, who began the project in 2003, says that he created it with the goal of showing”the fear and folly of nuclear weapons.” It starts really slow — if you want to see real action, skip ahead to 1962 or so — but the buildup becomes overwhelming. 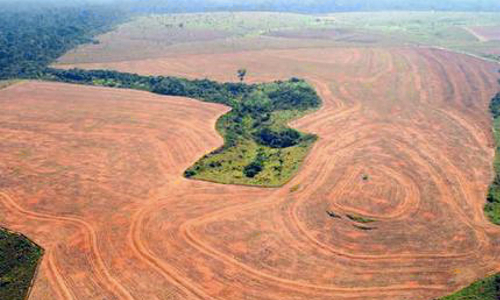 Last week, the Brazilian government released annual figures for deforestation in the Amazon and the news is not good. A total of 5,843 square kilometres are estimated lost between August 2012 and July 2013, an increase in deforestation of 28 percent compared to the previous year. This sharp increase in deforestation in the Amazon is no surprise—all deforestation estimates released over the last year have shown we were headed in this direction. Last year, the government passed a new Forest Code, dramatically changing the environmental law that governs forest use in Brazil, including the Amazon. A strong agribusiness influence in the Brazilian Congress lead to a massive weakening of the Forest Code—a law that once helped protect the Amazon. Those who believed the empty promises that the new Forest Code would bring governance to the Amazon, that amnesty granted to environmental criminals would not have consequences and that farmers in the Amazon would be moved by the spirit of Brazilian citizenship and legal compliance, can now see the reality of the impact of the new law in the forest. The ‘growth-at-all-costs’ model, based on the expansion of the agricultural frontier and the establishment of large infrastructure projects in the Amazon provides a sharp contrast to the image the government wants to sell. Brazil can no longer hide behind the celebrated decrease in deforestation made in past years or the thinly veiled promises around the Forest Code. Brazil can hardly continue to claim leadership in sustainability and new models of development as all eyes turn to Brazil as hosts of the upcoming World Cup. In 2009, the three largest slaughterhouses in Brazil signed the Cattle Agreement and pledged not to buy cattle from farms that were involved in new deforestation, slave labor or invasions into Indigenous land and protected areas in the Amazon. In 2006, the soy and cattle sector made commitments to move away from deforestation. The Soy Moratorium was signed by soy traders to stop the trade of soy coming from newly deforested land. The Soy Moratorium is still in place today but it is set to expire in January 2014. If the industry fails to renew the moratorium without the proper safeguards and next steps in place, this could mean more bad news for the Amazon. We could see another dramatic increase in forest destruction as Soy expansion runs rampant through the forest. Lichen sample from mid-2011 expressed in picocuries/kilogram — Lichen on the island had less than 70 pCi/kg of Cs-137 in 1997. Drilling conflicts are almost always described in the context of their impacts on air, water and health. But increasingly, as the drilling boom sweeps the country, another part of the drilling story is starting to bubble up in drilling hotspots like Colorado, Pennsylvania, New York, Wyoming and Texas. Increasingly, oil and gas development is butting up against, and often trampling, the bedrock American principles of property rights and the value of one’s home. 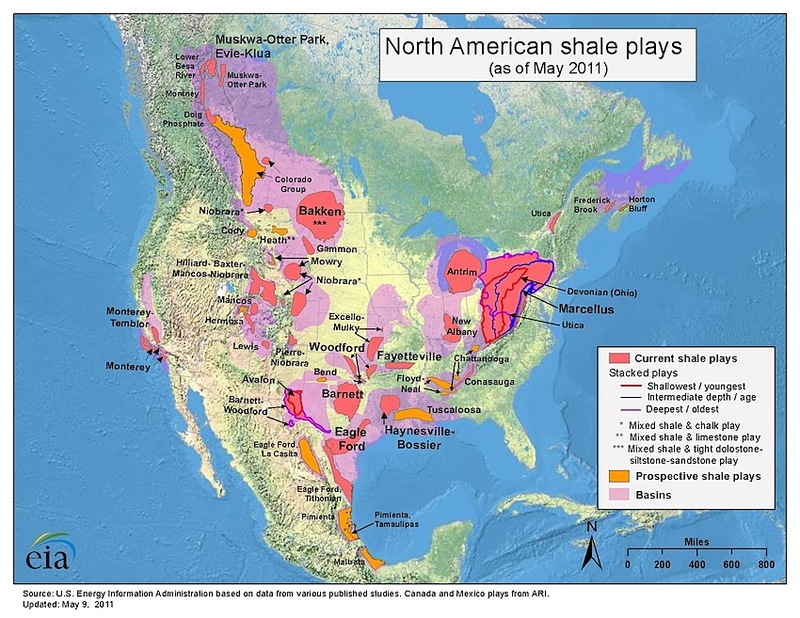 The map below shows all the shale gas in play in North America. Industry estimates peg the number new wells that will be drilled across the U.S. over the next decade at more than 200,000. In this rush to tap once unreachable deposits, oil and gas development is pushing the boundaries of drilling. Innovations like fracking and horizontal drilling mean nothing is out of reach. Once the province of wide open spaces, drilling rigs now regularly inch up and even into communities that never anticipated having to address problems like round-the-clock noise, storage tanks, drums of toxic chemicals, noxious fumes, and pipelines near homes, schools, playgrounds and parks. This clash of large-scale industrial activity and communities has surfaced a deep rift in the American landscape, where the legal doctrine of split estates allows one party to own mineral rights and someone else to hold the rights to soil and surface. With the oil and gas industry showing little self-restraint in where drilling happens, and almost no regulatory or legal precedents to protect them from having industrial activity in their back yards, communities are fighting back. Increased truck traffic, chemicals, lights, noise, heavy equipment, noxious air emissions and water contamination are liabilities for landowners, to the point that communities in Colorado, New York and other states have taken matters into their own hands. Feeling unprotected by weak state and oil and gas regulations—most of which were developed never contemplating drilling in urban and suburban landscapes—towns, cities and counties are instituting moratoria and bans on drilling within their borders. There are fracking-related ballot measures in at least four Colorado communities this year. But it’s not just “not-in-my-back-yard”-ism driving this reactive opposition. The financial risks posed by drilling are real and substantial enough, for example, that banks and insurers are adopting guidelines that forbid mortgage loans or insurance coverage on properties affected by drilling. It’s a battle between oil and gas and the nest egg of countless Americans. On Nov. 6 BASF, a German agrochemical company, took legal action in the General Court of the European Union (EU) to challenge the EU Commission’s decision to restrict seed treatment uses of the insecticide fipronil. BASF joins chemical companies Bayer and Syngenta in challenging the EU’s decision to restrict the use of certain pesticides that are harmful to pollinators. The EU Commission’s decision to restrict the use of fipronil in July came after the Commission’s landmark decision announcing a two-year continent-wide ban on the neonicotinoid pesticides clothianidin, imidacloprid and thiamethoxam. The pesticides have been linked to the decline in bee populations. Twenty-three European Union Member States supported the fipronil restriction, two Member States voted against and three Member States abstained during the standing committee vote. BASF argued that its legal action against the EU is based on a disproportionate application of the precautionary principle. However, overwhelming scientific evidence supports the position that fipronil is highly toxic to bees. Fipronil, a phenyl pyrazole broad-spectrum insecticide, was first introduced in the U.S. in 1996 for commercial turf and indoor pest control and is highly toxic to bees. A recent investigation reveals that fipronil is responsible for the death of thousands of bees in Minnesota. Fipronil also has been shown to reduce behavioral function and learning performances in honey bees. A 2011 French study reported that newly emerged honey bees exposed to low doses of fipronil and thiacloprid succumbed more readily to the parasite Nosema ceranae compared to healthy bees, supporting the hypothesis that the synergistic combination of parasitic infection and high pesticide exposures in beehives may contribute to colony decline. Fipronil is also harmful to humans and has been linked to hormone disruption, thyroid cancer, neurotoxicity and reproductive effects in mammals. Recently, a federal grand jury in Macon, GA, alleged that a pest company wrongly applied fipronil in multiple nursing homes in Georgia. By challenging the EU commission’s decision to ban pesticides that are suspected to be harmful to bee health, BASF joins Bayer and Sygenta, which are also challenging the new restrictions. This past August, Syngenta filed a legal challenge to the European Union’s suspension of one of its insecticides, thiamethoxan. In a press release, Syngenta claims that the European Commission made its decision on the basis of a flawed process. 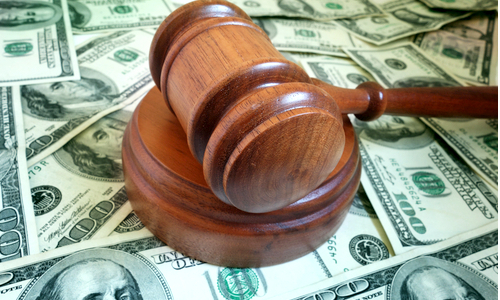 Bayer Crop Science filed a similar legal challenge with the Court of Justice of the European Union in mid-August. Bayer claims that its pesticides, imidacloprid and clothianidin, have been on the market for many years and have been extensively tested and approved. According to EU guidelines, approved products can only be banned if there is new evidence of their negative effects, Bayer Crop Science said. 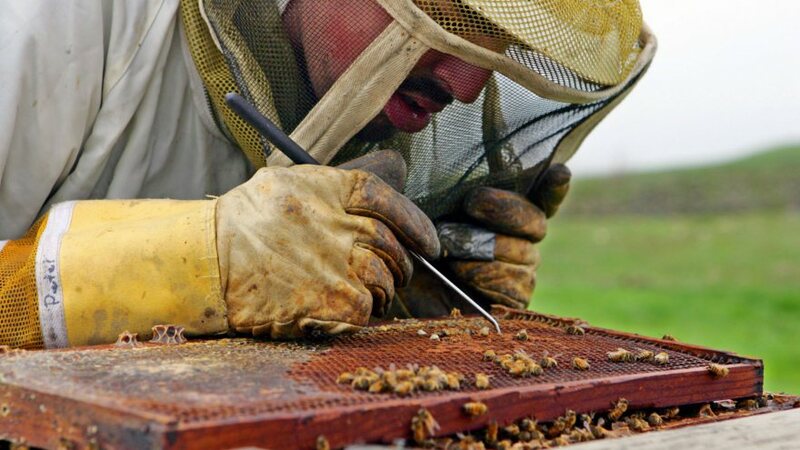 These actions taken by the agrochemical industry that challenge the ban on neonicotinoids ignore the increasing body of new science that documents neonicotinoid toxicity to bees and other pollinators. As Europe has moved toward creating stronger regulations designed to protect declining bee health, the U.S. has remained woefully behind. Recently, the U.S. Environmental Protection Agency (EPA) acknowledged that current pesticide labels do not adequately protect honey bees and announced new label language to prohibit the use of neonicotinoid pesticides when bees are present. The new labels will also include a “bee advisory box” and icon with information on routes of exposure and spray drift precautions. However, beekeepers and environmental groups question the efficacy and enforceability of the new label changes in curtailing systemic pesticides that result in long-term residues in the environment, contaminating nectar and pollen, and poisoning wild bees that the EPA seems to ignore in its decision-making process. Due to the absence of strong regulatory safeguards for pollinators in the U.S., it is important for the public to become engaged in pollinator protection. Beyond Pesticides’ BEE Protective campaign supports a shift away from the use of these toxic chemicals by encouraging organic methods and sustainable land management practices in your home, campus, or community and in food production.